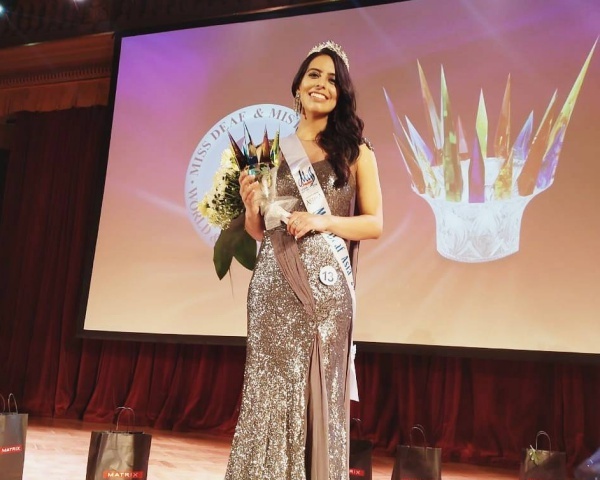 22-year-old Nishtha Dudeja has been crowned Miss India Deaf 2018. The commerce student from Venkateshwara College won the title at a contest in Jaipur. The three-day pageant was organized by Rajputana Deaf Arts and Culture Society (RDACS) and All India Deaf Arts and Culture Society (AIDACS). Nishtha's long-term plan is to work for public welfare. She has many achievements to her credit. She is an accomplished tennis player too. She represented India in lawn tennis during the Deaflympics 2013 in Bulgaria, the World Deaf Tennis Championship 2015 in the United Kingdom, and the Deaflympics 2017 in Turkey. Nishtha says the credit for her success goes to her father who has always been her strength. Nishtha was born deaf and underwent seven years of speech therapy. She spent many weeks working on her walk, make-up, and dance for the contest.